In October of 2011 Boeing launched a new plane, said to be the most innovative new aircraft in the commercial space in decades. Airlines were lining up to order their own, with Japanese airline ANA waiting over 3 years for its first craft to be delivered. Customers paid up to $30,000 per seat to take a ride in the new plane that had the entire industry and traveling world abuzz. The plane offered huge improvements in energy efficiency, was made from a variety of high tech composite materials, and included a wide-spectrum of high-end consumer features like increased space, reduced noise, modular bathrooms, and even a LED light show during preparation for take-off. It seemed like a huge leap for Boeing and the aircraft industry. 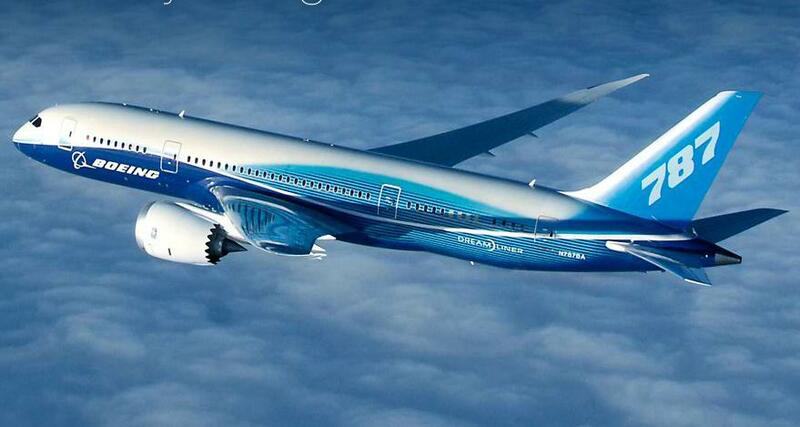 The Dreamliner 787 was meant to herald a new age of commercial aviation. Instead it has Boeing scrambling. However in the time since, Boeing has been dogged with problems: Cockpit windows have cracked multiple times, now three active Dreamliners have had overheating problems related to their lithium ion batteries, and two planes have had fuel leak problems. Given that only 50 Dreamliners are in service (with hundreds more on delayed order) these are potentially scary indications that the entire plane design may need to be reconsidered. The issue has even led US investment bank Goldman to downgrade Boeing stock from “conviction buy” to “buy” while the issues are reviewed by the FAA. The question that has to be on the mind of many Boeing executives is whether the Dreamliner was too big of a risk – to big of a redesign and innovation – to have been taken in the first place; particularly in an industry with such high regulatory and consumer scrutiny. – Industry/competitors: the airline manufacturing industry is particularly competitive, with high levels of capital required. In fact, two major western companies now dominate the consumer and military industry, with Boeing and Airbus fighting for market share. Airbus is set to launch their own next generation craft next year – it too relies on the same type of batteries found to cause issues for Boeing. Boeing has the first-mover advantage in that they’ve defined the next stage of technical development and can capture the early market – whatever features Airbus shows in the A350 will almost certainly have been inspired by the 787. Airbus however has the fast-follower advantage: the chance to quickly adapt its competitor’s technology while making necessary improvements to have an even better product at launch. – Market: the airline industry is intensely competitive, with any opportunity to gain consumer share coveted. The Dreamliner captured the imagination of the commercial airline industry, with airlines queued up to place orders to not only gain an edge against their competition but also to keep up. The Dreamliner has been a success, but it is vulnerable to being displaced by its competition based on the difficulties relating to safety. Unfortunately, in the airline industry almost any issue quickly escalates to a safety concern. No amount of internal testing can replace use in the field, so these ‘teething’ problems are almost inevitable in such an innovation. Only time will tell if these are early indications of incomplete qualification of designs and innovation or just minor bugs that needed to be worked out. – Consumers: the Dreamliner did something no plane has done for decades – it captured the enthusiasm and interest of the flying public. Boeing was able to become synonymous with innovation in the industry. This interest almost certainly contributed to the early success in selling the plane within the airline market. Boeing now has the challenge of resolving safety issues in a way that assures the consumer of the concern for safety. This means solving the quickly and completely. Another instance of having the plane grounded might be permanently disastrous for the Dreamliner and Boeing brand in the eyes of consumers, especially related to new innovations. That the launch of a transformative new airliner design will meet with some growing pains should have been no surprise to Boeing executives. With any innovation there is a level of risk involved in introducing it to the market – whether that be market acceptance, technical success, or speed of adoption (among other factors). The bigger question is whether Boeing understood the risks before launch and fully evaluated the upside versus the potential downside of making such a transformational leap. The Poole College of Management provides a great discussion on ‘Managing Levels of Innovation Risk’ on its Enterprise Risk Management page. For the executive or innovation leader it is very important to understand the organizational needs – for real breakthrough growth or to capture a new market segment transformation innovation can be a necessity. However, it may be enough to make more sustainable, low risk incremental innovations in order to obtain the same gains. To the Osmotic Innovator, the warning is to be certain of the organizational goals in relation to an innovation initiative. While transformational innovations are exciting and capture the imagination both internally and externally they also carry a very high risk profile and can do long term damage to a brand and a company that undertakes them. There is a case to be made that in some cases incremental or core innovations can represent a more easily digestible risk profile. So where does Boeing net-out? Boeing, hopefully, made the evaluation that its position required or allowed it to take a gamble on a transformational innovation. 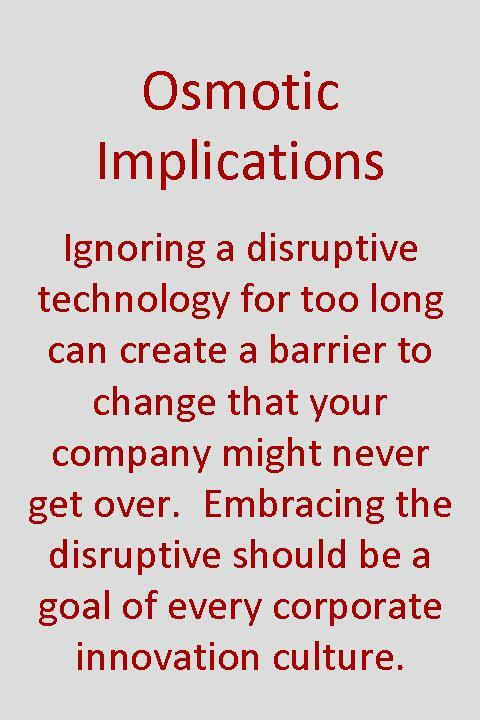 Rather than suffering the innovators dilemma and being outpaced by other firms it would disrupt its own business and take the risk necessary to do so. While being first-mover allowed them to capture a potentially huge share of the market for the Dreamliners benefits (high efficiency longer-range medium sized planes with enhanced consumer experience) and set the industry standard, technical and supply problems have given its competitor a chance to both learn and catch-up, potentially offering a better comparable product when they do launch. Boeings willingness to work with regulators to make its system safe speaks well to regulatory agencies, airlines, and travelers; but it is inherent that these changes are made quickly to repair the damage to the brand and fend off otherwise equivalent competitor offerings. The future success of the Dreamliner and its place in history (as either a transformational innovation or a failed early stage technical innovation bested by the fast-followers) will rest on Boeings willingness to dedicate resources to solving its problems quickly and efficiently and on the ability of its competitors to leverage these first-mover difficulties to their advantage. 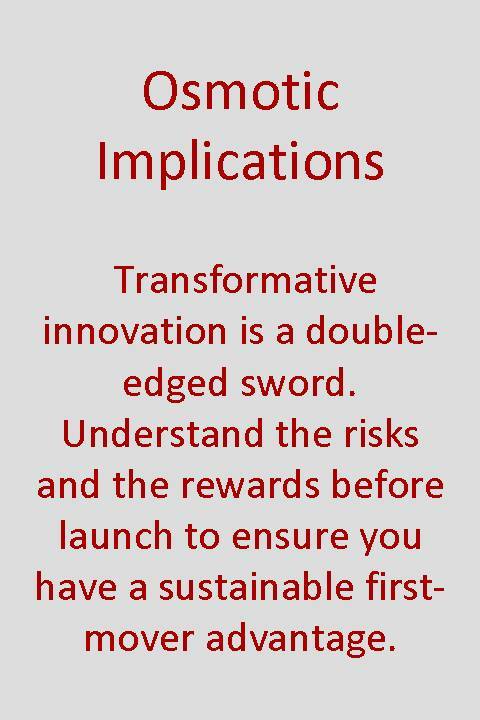 This entry was posted in Organization, Strategy, Technology, Thinking and tagged corporate, incremental innovations, radical innovation, risk. In the spirit of the holiday season, Osmotic Innovation thought we’d give you a new take on an old standby, the best gifts of 2012. 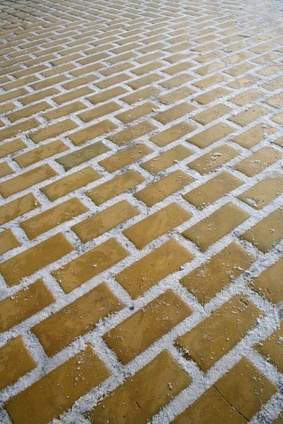 Of course, we’ll be tackling it from a unique angle – showing you the Most Innovative Gifts of 2012. The original breathing huggable pet. Let’s face it, not everyone is cut out to own a real pet. Say goodbye to vet bills and food, these stuffed animals are soft, huggable, and breathe. Why it is innovative: recognizing that regular stuffed animals are stand-ins for the real thing and that one of the great experiences of owning a pet is having it lull you to sleep with its breathing this company found its niche – combining the two. Say goodbye to lines at the airport – or even having to park at the airport. With the Transition you can fly your car (or drive your plane). Why it is innovative: listening to the customer – private pilots – Terrafugia made its position in the market by providing a real solution to the problems of plane transport, storage, and weather issues delaying travel. Forget Ibiza or Jakarta, for the person who truly has been everywhere there is only one trip left: the Moon. Why it is innovative: The critics would say its expensive (putting it mildly!) and that the market is small. We see a market pioneer establishing themselves as the leader in tourism to one of the last frontiers. For yacht owner who really wants to make waves MS Watersports GmbH offers the Jetlev-Flyer JF-260: a carbon fiber 260 HP 4-stroke flying machine. Why it is innovative: For a generation weaned on James Bond and action sports vacation isn’t complete without some adventure. The Jetlev gives people a safe and exciting way to have an exhilarating experience. We’ve all got that friend who lives off the grid. Unleash their full potential with an aquaponic system, allowing them to grow fish and vegetables sustainably, even through the Mayan apocalypse. Why it is innovative: In a world with resources that seem more scarce by the day finding ways to do more with less is important to many consumers. Home Aquaponic kits, supplies, and know-how are a valuable commodity that capitalizes on a trend toward more sustainable living. One thing that all these gifts share is an appreciation for their customer – finding new benefits and opportunities that their target customer want or need. That’s what we’re all doing, regardless how strange or unique the list here might seem. This entry was posted in Fun, Thinking and tagged products. Occasionally we find a book worth mentioning. We’ll do our best to share both the good and the bad, with a healthy dose of interpretation of how you can leverage the concepts as an Osmotic Innovator. For the Osmotic Innovator, this seems like a potentially powerful concept. If learning has been reassessed as advertised, how can this be leveraged to better enable your current employees and how will this change the way that the next generation of recruits to your team works? And further, given that the pace of change in learning has grown exponentially faster, how can firms cope, not only surviving a potential onslaught of innovation but thriving and growing with it? Unfortunately, the book fails to deliver fully against some of the most exciting questions and possibilities from this perspective. It does however give the reader a new frame of reference to view the process of learning. This new point-of-view could be very valuable in the hands of the Osmotic Innovator. Thomas and Browns’ description – backed up consistently through the book – that ‘The new culture of learning actually comprises two elements. The first is a massive information network that provides limitless access and resources . . . The second is a bounded and structured environment that allows for unlimited agency to build and experiment with things within those boundaries. . . It is the combination of the two, and the interplay between them, that makes the new culture of learning so powerful’ is a particularly compelling notion. Though Thomas and Brown make a few connections between this new model for education and the world of business through the remainder of the book, often connecting with insights that would be recognizable to anyone spending time seriously thinking and considering innovation, they fail to really expound on the model and directly connect it to much of the world outside the classroom. This is where the book seems to miss an opportunity; by becoming overly bound to trying to prove the existence of the model through repetitive examples of it they miss the opportunity to apply it (or project how it could be applied) to the larger world they give the occasional nod to. 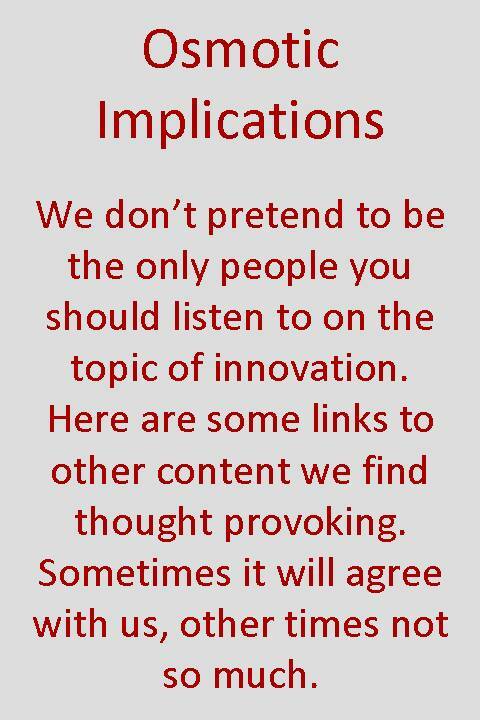 This entry was posted in Creativity, Culture, Thinking and tagged Creativity, Culture, learning, open innovation, Priming. Creative spaces are often cited as examples of how the most innovative companies take their creative processes seriously. We have all heard of the efforts of Pixar to ensure maximum creativity from their staff through the design of their building to maximize unscripted interactions, from centralized bathrooms to freedom to decorate your workspace Pixar lives creativity and its employees wear it on their sleeves. Should your company investigate creative spaces as a means of improving innovation? The answer is not so simple. The problem of how to organize a physical space to drive innovation is a well-known one, having spawned numerous books (see The Organization and Architecture of Innovation by Allen and Henn) and consultancies. Having spent decades maximizing the value captured from efficiency in the ‘organizational diagram’ leaders were bound to recognize that the layout of the actual physical space is equally important to drive productivity and, ultimately, innovation. The problem with implementing the biggest and boldest suggestions to boost innovation and productivity is that it necessitates huge expenditures of capital in order to refurbish old spaces to new layouts. Obviously, this isn’t always compatible with budget or other goals – thus the appearance of ‘Creativity Spaces’! In order to meet the demand for a place within the office environment where workers can think freely and openly – trying to capture that eureka-in-the-shower moment – old meetings rooms get refurbished with TVs, games, bold colors, and comfy chairs. These places can be easily dismissed as places to waste time. However, for the relatively limited capital requirements they have to be considered as a positive first step. Just having one place in the office that doesn’t feel like the office can encourage teams and meeting groups to think more freely and creatively. Many articles on this blog advocate drastic steps to get free thinking and creativity into your team; the message that should be taken forward is that anything you can do to shake things up and break people out of their typical role is great for boosting innovative output. Doesn’t that align perfectly with having your lead chemist showing everyone their newest moves on Dance Dance Revolution? For the Osmotic Innovator making do with less is an art form – perhaps Creativity Spaces aren’t a Picasso but they’re at least an easel and a brush. Creative spaces are really the result of creative cultures. When people work in a creative culture they build their own creative spaces and in some instances these spaces may not even look (to the casual observer) very creative at all. We are talking about the water cooler, the original “creative space”. “If you build a creative culture the culture will build their creative space” is probably a better approach for most businesses to take. Without the right culture the creative space discussion shouldn’t even be started. Can you really define what a creative space should be for your business? What works for Pixar might be useless for your company. Can a laboratory or engineering shop be a “creative space”? Sure it can, and in many companies these areas are far more likely to be creative than any artificially designed space of bright colours and soft furnishings. Don’t fall for the idea that if it looks fun then it must be creative; many companies have demonstrated phenomenal creative endeavour simply by giving their employees access to the same old facilities but without corporate agenda. Creative spaces must be built; your work environment is unlikely to have been designed with creativity in mind. Creativity feeds off networking so is there a way of causing more cross functional interactions within your employees without going to the extremes of building redesign? Maybe careful placement of coffee bars or mixed function open plan offices would work better than prescribed “creative spaces”. 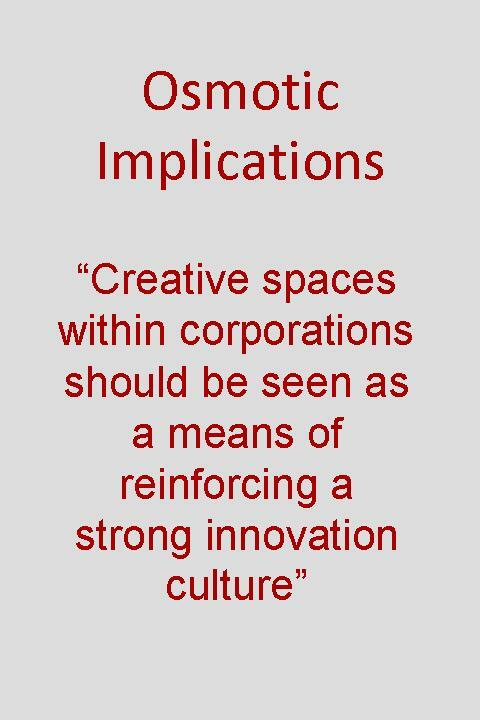 Overall the design of creative spaces within corporations should be seen as a means of reinforcing a strong corporate innovation culture, not as a means of creating one. There are many more cost effective ways of doing that. This entry was posted in Creativity, Culture, Resources, Thinking and tagged Creative Spaces, Creativity, Culture, Two sides. In 1997 Clayton Christensen published The Innovator’s Dilemma: When New Technologies Cause Great Firms to Fail. The book (which we highly recommend) proposed an intriguing explanation as to why large companies with seemingly unlimited resources can fail to see their own demise in the emergence of disruptive technologies. One oft cited example of this phenomenon is the demise of Kodak who not only failed to see the importance of digital photography on their core film business but in fact were the ones who invented digital photography in the first place. The purpose of this post is not to discuss Christensen’s work however but instead to cast our eyes over some industries and see if we can spot companies who might well be in the midst of an innovators dilemma as we type. In order to identify where an innovators dilemma might lie we need to quickly describe the required conditions for its occurrence. A very common approach, and one used by Christensen, is to describe the situation using innovation S-curves as below. A: A new technology in its infancy. Performance improvements are hard to generate as the innovation is becoming understood. Generally, innovations at this point are only used by very early adopters and the value of the product offering may be limited. B: Rates of performance advances are peaking, rapidly catching up to incumbent technology. The technology becomes commonplace and even the industry standard. New competitor technologies look hobbyist or misaligned. C: The technology matures, performance advances are harder to generate as the limitations of the technology are found. Most people who might use the technology are doing so. New competitor technologies seem to have higher potential and are gaining acceptance. D: The technology fades. People stop using the technology and choose others. A new technology becomes the industry standard. 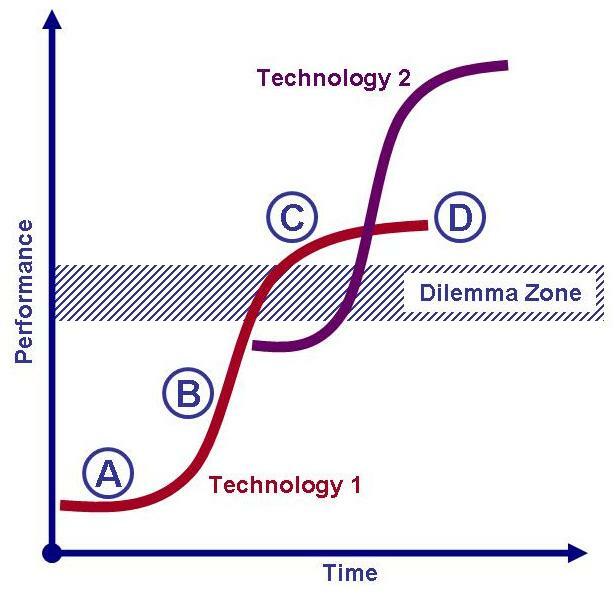 The Dilemma Zone: Technology A is well understood, the industry standard and an integral part of the business model of those employing it. The profitability of the technology is peaking. Technology B looks very promising even to the point where it is the odds on favorite to be the future of the industry; the only question is exactly when. So, with this set of conditions in mind we will go hunting for some modern dilemmas in the businesses of today. Kodak followed the red S curve to their well-publicized regret, who might be next? Dilemma #1, HBO: HBO are having a great run at the moment, their internally created content such as Game of Thrones and Boardwalk Empire have generated huge returns for their parent company Time Warner. HBO is one of the most well known and entrenched premium cable channels in the world and its exclusive offerings are an important part of the business model of cable providers such as Verizon and DirecTV. So where is the dilemma? Well, Game of Thrones Season II has been downloaded illegally about 25 million times over the year1 and HBO know why; there is no other way to get it apart from subscribing to a full cable service. HBO could provide downloads through their own site or through iTunes or another vendor but (at least for season 2) chose to take the money i.e. maintained the high premiums from the cable providers at the expense of the pirated copies. Financially this makes sense today but long term HBO may not always have such a gem as Game of Thrones with which to negotiate (or even define) the process of streaming its content on demand. Dilemma #2, Big Pharma: Big Pharma is REALLY big and is based primarily on a model that is around as old as your granny. Two pillars, small molecule chemistry and blockbuster “one size fits all” treatments are what has driven the growth of this industry since the early 20th century but that is coming to an end. Biotechnology in its many forms is most definitely the future of medicine in the 21st century. A scan of where the breakthrough patents are being generated in the field and you can see the majority are coming out of small Biotechs and Universities not the massive health laboratories of the S&P 500. The problem is that small molecule chemistry (what Big Pharma is great at) is not Biotechnology any more than plumbing is interpretive dance. The initiative needed to transition the capabilities of say, a Pfizer (100,000+ employees2), to a new science is immense, perhaps too immense. Coupled with this is a reality that Biotechnology tends to make very targeted drugs, limiting the opportunity for another “everyone gets a pill” Lipitor or Prosac, a model that Big Pharma now relies on. So the dilemma is set, Big Pharma must re-skill, and possibly re-size, but to do it now or to hold on for just one more blockbuster? Dilemma #3, Microsoft Office: Microsoft itself is arguably in the middle of an innovators dilemma but I thought I would pose the case for one of its most profitable jewels, Office being very much in the middle of a technology revolution itself. Office is everywhere, you can’t do business without the ability to open and edit Word, Excel and PowerPoint documents and this has ensured that the Office suite has remained the standard install for companies worldwide for many years. The knock-on effect of Office being the choice of your company is that you are far more likely to install it on your home PC as well, and why learn two different systems? So where is the dilemma? Well, Microsoft knows that it won’t be long before the idea of having to boot up a desktop or notebook to balance the household budget or write your resume will be gone. People will expect to run their households from their tablets and phones while sitting on their sofa not hiding away in the home office. So, Office for tablets? Where is it? The problem is that fully functioning office products are complex, far more complex that we are used to dealing with on tablets and phones. Microsoft’s choices seem to be a) cut back on the functionality (losing their technical advantage), b) teach us a new way of interacting (losing the synergy with the company office) or c) lose the home space all together. You might be thinking that you would still be tied into the Office suite simply because even if you change your home tablet away from Office, other people will still send you Word documents. The simple fact however, is that file type is almost irrelevant these days. Download a free service like Open Office and you will see it is quite capable of opening Word docs and even saving them in Word format so on Monday morning your company PC will be compatible with your weekends endeavor. This entry was posted in Innovation challenges, Strategy, Technology, Thinking and tagged corporate, future, Innovation Challenges, Innovation failure, Innovators Dilemma, problems, risk, strategy. Nothing like a super-storm to slow down innovation. Here at Osmotic Innovation we’re doing our best to catch-up and will be back with you shortly. 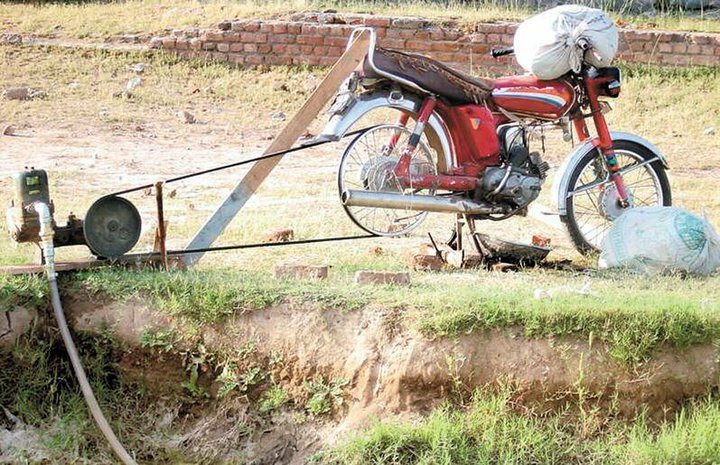 In the meantime, you should spend some time learning about Jugaad Innovation and its principle of frugal innovation. In the wake of #Sandy, we’ve all been reminded that sometimes you’ve got to make do with less. Jugaad Innovation tells the story of how some people don’t just adjust to that reality, they thrive. This entry was posted in Creativity, Innovation challenges, Thinking and tagged Constrained innovation, future, jugaad. 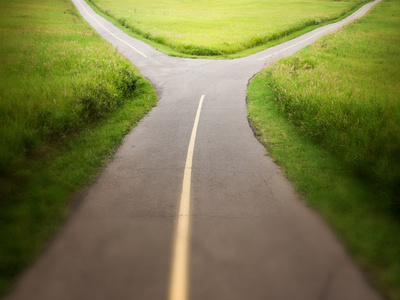 What’s your road to innovation look like? Often the news of a large corporation buying out a start up is met with cynical press that somehow infers the act is driven by an inherent lack of imagination on the part of the corporate buyer. But what if the approach is simply a rational response to the costs of innovating and the benefits of a large balance sheet? James Price argues the case in a recent Business Insider article citing examples form many different industries. 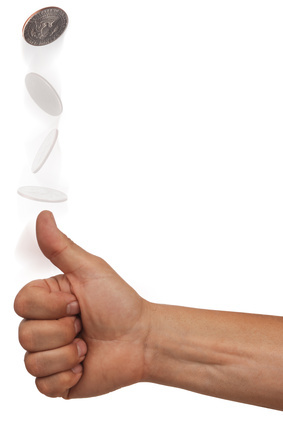 When looking at your innovation portfolio do you spend enough time considering acquisitions? Walmart has created an innovation lab in San Bruno, California. That’s exactly 1,849 miles from Bentonville. technology review details what makes this lab different and what Walmart hopes to achieve in acquiring a tech start-up and creating the innovation lab. One point that deserves quote here: “Subramaniam credits Walmart for maintaining the startup culture after the acquisition.” If Walmart, notoriously cost, culture, and supply chain focused, can do this what’s stopping your company? Mothers of Innovation: Contests and regulations? Innovation isn’t just a business need, it’s necessary for efficient governance as well. Thomas Friedman discusses two government initiatives that use limited funds and regulatory power to stimulate innovation. When schools compete for limited funds in “Race to the Top,” schools submit improvement plans in search of funding awards. Even those that lose, he argues, often implement their plans without additional funding. On the regulation side, a rise of fuel efficiency standards means companies invest in innovative technology without the fear of falling behind the profitability of competitors. This entry was posted in Links, Thinking.